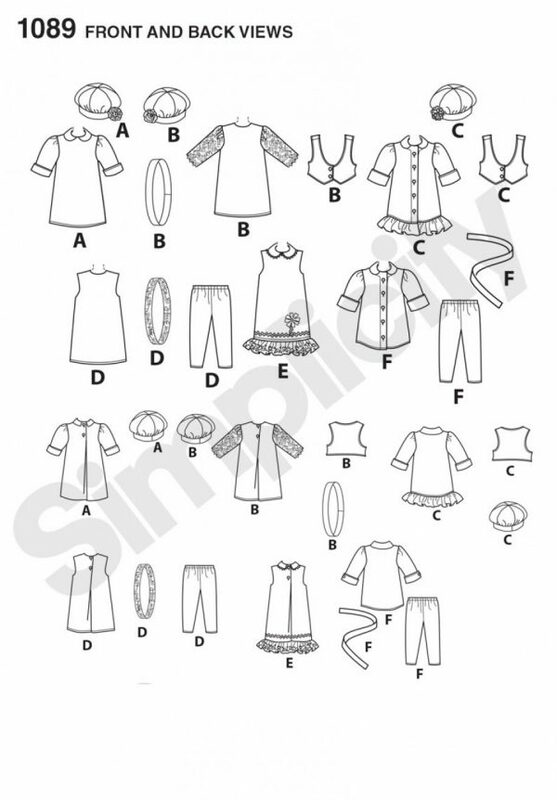 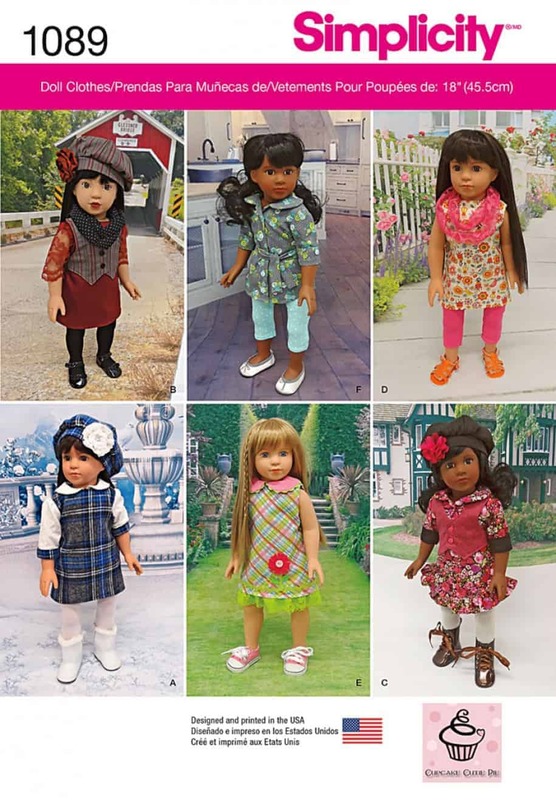 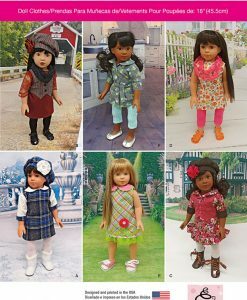 Doll wardrobe pattern includes three dresses, two with vests, one jumper with collared shirt, jacket and leggings. 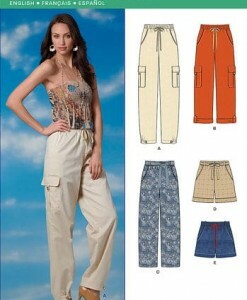 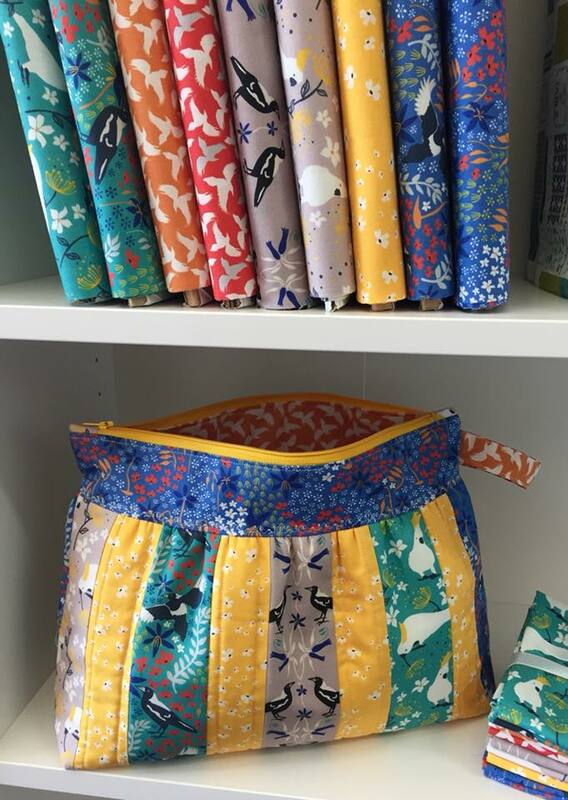 Accessory scarves and belts also included. 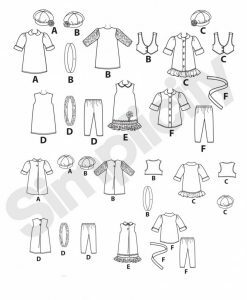 Cupcake Cutie Pie for Simplicity.